The Academy of Arts Motion Picture Arts and Sciences has made public the official list of 87 countries that have submitted candidates to the Foreign Language Film category for the 91st Academy Awards. 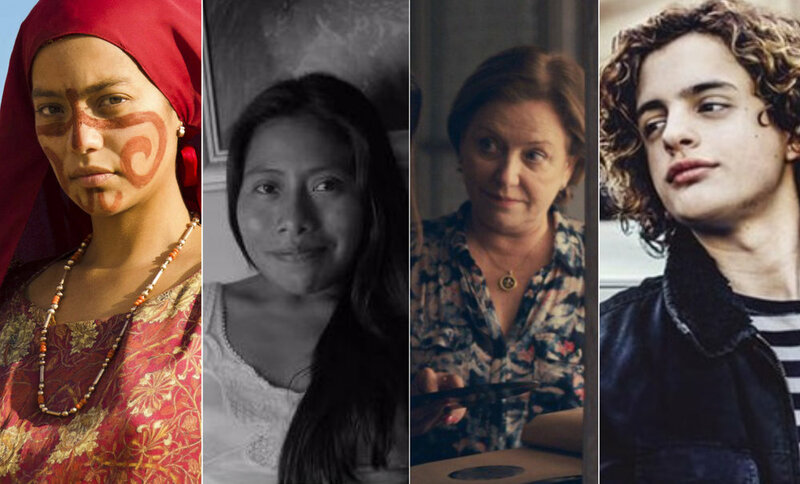 The list includes 13 Latin American candidates vying for an Oscar nomination. The shortlist will be announced on December 17 followed by the nominations on Tuesday, January 22, 2019. Cuba had announced Ernesto Daranas’ Sergio and Sergéi as its Oscar contender, but for reasons yet to be disclosed, was not included in the Academy’s final list. The 91st Oscars will be held on Sunday, February 24, 2019 in Hollywood, and the awards ceremony will be televised live in more than 225 countries and territories worldwide. Argentina, the only Latin American country to have won—and twice—the Academy Award for Best Foreign Language Film (Luis Puenzo’s The Official Story in 1985 and Juan José Campanella’s The Secret in Their Eyes in 2009) after seven nominations, has picked Luis Ortega’s El Ángel as its Oscar contender. The film had its world premiere in the Un Certain Regard competition at last May’s edition of the Cannes Film Festival and it is based in the true story of the Argentine serial killer Carlos Robledo Puch. Set in Buenos Aires in 1971, the film follows Carlitos, a seventeen-year-old youth who as a young boy, he coveted other people’s things, but it wasn’t until his early adolescence that his true calling—to be a thief—manifested itself. When he meets Ramon at his new school, Carlitos is immediately drawn to him. Together they will embark on a journey of discoveries, love and crime. Killing is just a random offshoot of the violence, which continues to escalate until Carlitos is finally apprehended. Because of his angelic appearance, the press dubs Carlitos "The Angel of Death." Altogether, he is believed to have committed over forty thefts and eleven homicides. Today, after more than forty-five years in jail, Robledo Puch is the longest-serving prisoner in the history of Argentina. El Ángel is currently playing in U.S. theaters by the hand of distribution company The Orchard. Brazil’s Academia Brasileira de Cinema (ABC) selected O Grande Circo Místico / The Great Mystical Circus to represent South America’s largest nation at the 91st Academy Awards. The 18th feature film by veteran director Carlos (Cacá) Diegues stars French actor Vincent Cassel and was chosen from a pool of 21 contenders. The selection represents Brazil’s 46th submission to the competition and the seventh by director Diegues. Considered a pioneer of Brazil’s Cinema Novo, Diegues’ previous submissions for Oscar consideration included Xica da Silva (1976), Bye Bye Brasil (1979), and Tieta do Agreste (1996) - none of which earned him an official nomination into the category for Best Foreign Language Film. Brazil has earned four Oscar nominations (Anselmo Duarte’s Keeper of Promises in 1962, Bruno Barreto’s Four Days in September in 1997, Walter Salles’ Central Station in 1998, and Fábio Barreto’s O Quatrilho in 1995), and was shortlisted for Cao Hamburger’s drama The Year My Parents Went on Vacation in 2007. Bolivia has selected Muralla / Goalkeeper, the debut feature by actor-director Gory Patiño, as its Oscar candidate. The film was chosen by a selection committee of 11 members to represent the South American country in the foreign language film category. Starring Fernando Arze as Coco “Muralla” Rivera, the thriller film tells the story of of a former soccer player whose son is in the hospital waiting for an organ transplant and, in his desperation to get money to access a quick surgery, he gets involved in a case of human trafficking. Goalkeeper becomes the tenth Bolivian Oscar submission—two of those films were disqualified—since the country started submitting candidates to the Academy Awards in 1995. Silvio Caiozzi’s drama Y de pronto el amanecer / And Suddenly the Dawn was chosen as this year’s Chilean Academy Awards candidate to follow up on last year’s win of Best Foreign Language Film for Sebastián Lelio’s A Fantastic Woman. Marking the nation’s 23rd submission for Oscars consideration, Caiozzi holds two previous submissions for La luna en el espejo (1990) and Coronación (2000). 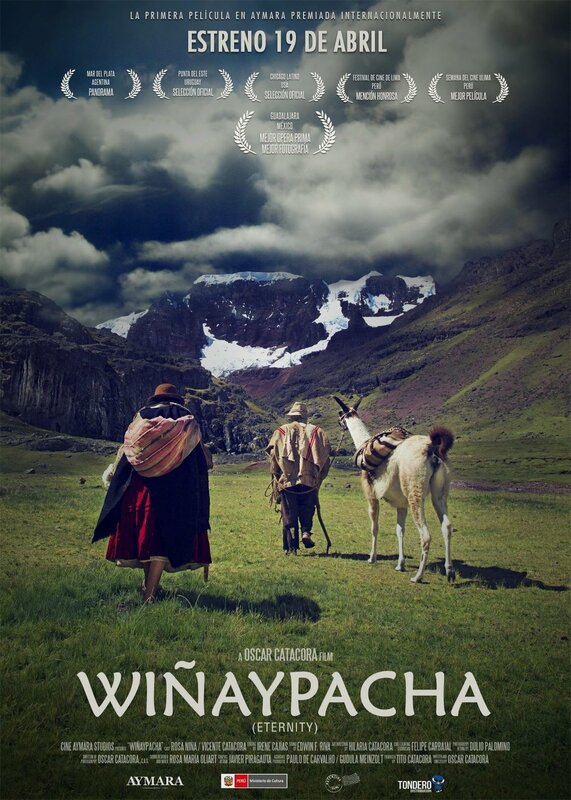 Starring Julio Jung, Sergio Hernández, and Magdalena Müller, Y de pronto el amanecer follows Pancho Veloso, an aged writer of celebrity articles, as he returns to the home in the Chilean Patagonia that he fled more than forty years earlier to make something of his life. In that place in the mountains, where centuries-old trees rise above abandoned tombs and the sea drunk with rain conceals the roots of men, the writer tries to develop “sellable” stories from the end of the earth. But doing so surrounded by his old friends, he faces his past and lets fall his façade. For the first time in his life, Veloso is able to produce a great novel in which all become characters—and himself a real artist. Y de pronto el amanecer won Best Film at the Montréal World Film Festival and could provide another nomination for the South American country. The Colombian Academy of Cinematography Arts and Sciences announced its selection of Birds of Passage / Pájaros de verano as Colombia’s Official Entry in the Best Foreign Language Film Oscar category. A sprawling epic about the erosion of tradition in pursuit of material wealth, the genre-defying Birds of Passage is a visually striking exploration of loyalty, greed, and the voracious nature of change. Directed by Cristina Gallego and Ciro Guerra, producer and director of Embrace of the Serpent, the first Colombian film ever to be nominated for an Oscar, Birds of Passage premiered as the Opening Night selection of the Directors’ Fortnight at the 2018 Cannes Film Festival, where it was met with glowing reviews. It is the fourth film by producing/directing team Gallego and Guerra and the fourth to be selected as Colombia’s Official Oscar Entry. Tracing the origins of the Colombian drug trade as it slowly corrupts a native Wayúu family, Birds of Passage stars Wayúu descendants Jose Acosta and Carmiña Martínez alongside rising Colombia star Natalia Reyes (of the upcoming Terminator reboot) and is stunningly shot by longtime collaborator David Gallego (Embrace of the Serpent; I Am Not a Witch). The film will be released by The Orchard on Wednesday, February 13 at Film Forum in New York City and Los Angeles, with a national rollout to follow. Birds of Passage marks the directorial debut of prolific producer Cristina Gallego, who also produces the film alongside Katrin Pors and takes a Story By credit. This is the fourth feature film for co-director Ciro Guerra, who is set to helm the upcoming film adaptation of Nobel laureate J.M. Coetzee's classic novel Waiting for the Barbarians starring Robert Pattinson, Mark Rylance and Johnny Depp. Torn between his desire to become a powerful man and his duty to uphold his culture’s values, Raphayet (Acosta), enters the drug trafficking business in the 1970s to secure a dowry to marry Zaida (Reyes) and finds quick success despite his tribe’s matriarch Ursula’s (Martínez) disapproval. Ignoring ancient omens, Raphayet and his family get caught up in a conflict where honor is the highest currency and debts are paid with blood. Costa Rica’s National Film Council chose Alexandra Latishev’s debut feature Medea to represent the Central American country in the 91st edition of the Academy Awards in the foreign language film competition. 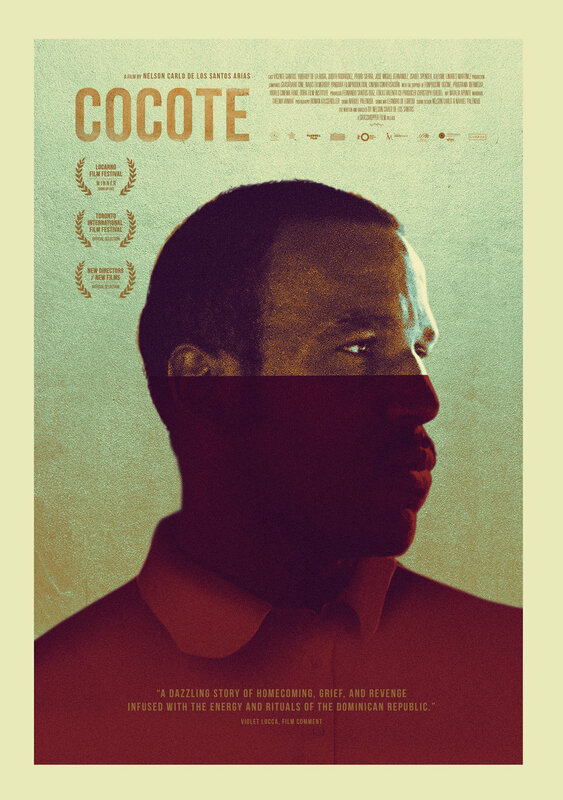 Nelson Carlo de los Santos Arias’ mesmerizing revenge drama Cocote was chosen as the Dominican Republic’s official entry for Best Foreign Language Film. The intense and discomfiting film, at once head-spinning and rhythmic in its docu-realist style, is de los Santos Arias’ first fiction feature and first submission for Oscar consideration. The film, distributed in the U.S. by Grasshopper Film, represents the 11th submission for the Dominican Republic, with no nominations yet. Cocote—winner of of the Best Film Award at Locarno’s Signs of Life competition and festival favorite across the international circuit—follows Alberto, a kind-hearted gardener returning home to attend his father’s funeral. When he discovers that a powerful local figure is responsible for his father’s death, Alberto realizes that he’s been summoned by his family to avenge the murder. It’s an unthinkable act—especially for him, an evangelical Christian. But as pressure mounts, he sees few ways out. Questions of faith, tradition, and honor course through this electrifying film, that, seemingly at the speed of thought itself, jumps between film formats, colors, and aspect ratios, radically envisioning a community torn asunder by senseless violence. Starring Vicente Santos, Judith Rodríguez, and Yuberbi de la Rosa, and with nods to the films of Glauber Rocha and the fiction of Roberto Bolaño, Cocote marks the coming of age of Dominican cinema on the world stage. Ecuador was the third South American country—after Venezuela and Colombia—to announce its candidate for the 91st edition of the Academy Awards in the foreign-language film competition. The Academy of Audiovisual and Cinematographic Arts of Ecuador, helmed by Gonzalo Ponce, selected the drama Un hijo de hombre / A Son of Man by Luis Felipe Fernández-Salvador, a.k,a. Jamaicanoproblem, and Pablo Agüero, as its contender. The film shot in the jungles of the South American country follows Pipe, a circumspect American teenager from the rich suburbs of Minneapolis who reluctantly joins his mysterious father in Ecuador, his father’s home country, where they embark on a treasure hunt for Incan gold. During their perilous expedition, the young man will understand that he and his father cannot escape their family demons. A Son of Man becomes the seventh Ecuadorian Oscar candidate since the country first submitted a contender in 2000. The country has yet to receive an Oscar nomination. The Mexican Academy of Film Arts and Sciences announced that Alfonso Cuarón's Roma will be Mexico's candidate for the Oscars in the foreign-language category, giving the country a good possibility of securing its first win after eight failed nominations. Fresh after its historic win at the Venice Film Festival for best film and its North American premiere at the Telluride and Toronto film festivals, Roma screened as centerpiece of the New York Film Festival. 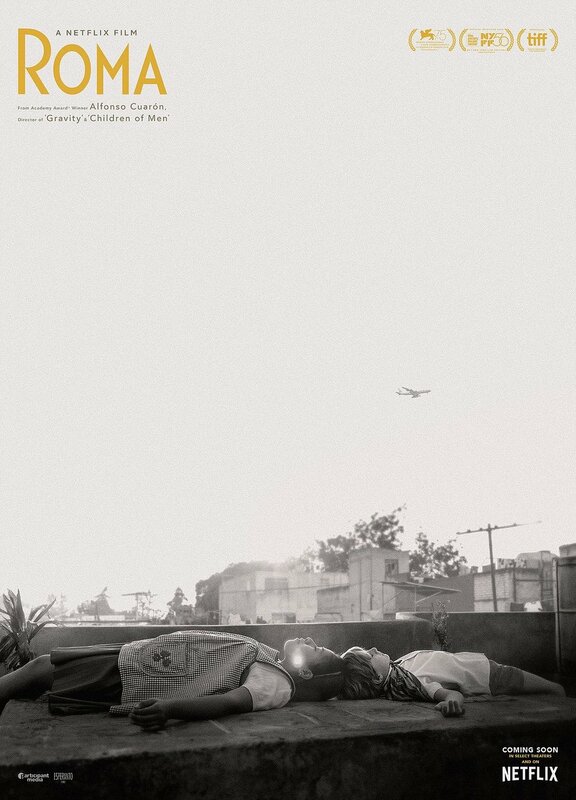 Cuarón’s autobiographically inspired black and white film set in Mexico City in the early seventies, marks the cinematic return of the filmmaker to his homeland after his 2001 international hit Y Tu Mamá También. Starring Yalitza Aparicio and Marina de Tavira, Roma follows a middle-class family held together by Cleo, the domestic worker. She and Sofía, the family’s matriarch wrestle with changes in the family home while Mexico braces for a confrontation between the government-backed militia and student demonstrators. This marks Cuarón's first Mexican Oscar candidacy after his acclaimed Y Tu Mamá También failed to get Mexico's nomination in 2002, the country selected instead Maryse Sistach's Perfume de violetas, nadie te oye. Nevertheless, Y Tu Mamá También found its way to earn a nomination for best original screenplay. More recently, Cuarón won the Academy Award for best director and best editing for its sci-fi film Gravity in 2014. The Central American country has picked the documentary film Rubén Blades Is Not My Name / Yo no me llamo Rubén Blades as its fifth Oscar candidate and the second time that a film by director Abner Benaim represents Panama at the Academy Awards after his 2014 film Invasión, which became the very first Panamanian Oscar candidate. The film follows Panamanian Rubén Blades, one of Latin America’s greatest music icons who was at the center of the revolution of salsa music during the 70s. His lyrics are infused with thoughtful subjects and explosive rhythms, which catapulted the genre into the international scene. Blades has received 17 Grammy Awards. He is a Hollywood actor and a Harvard graduate, he even ran for the presidency of his home country. Blades gives intimate access to filmmaker Benaim, who accompanies him in his tours. 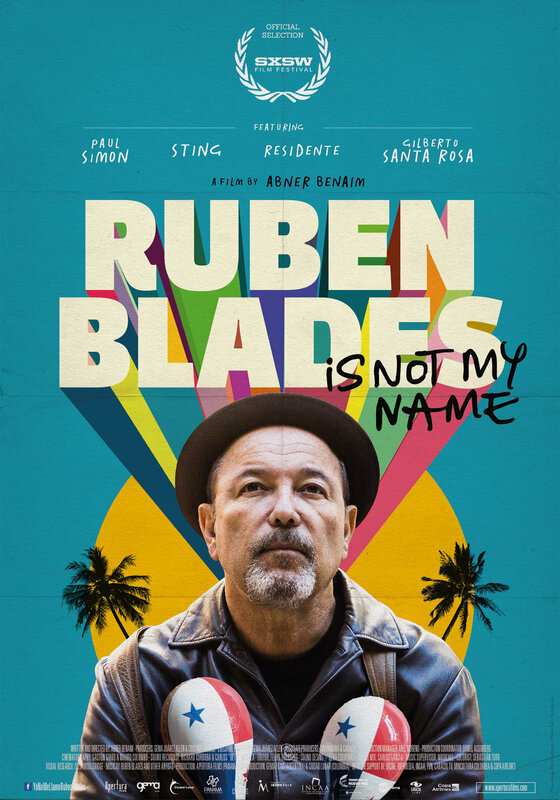 This documentary brings us up close with Ruben Blades and takes us into his music career that spans more than 50 years, revealing a musician still going strong, with musical and political ambitions. A movie about a living legend and his fight for a legacy. 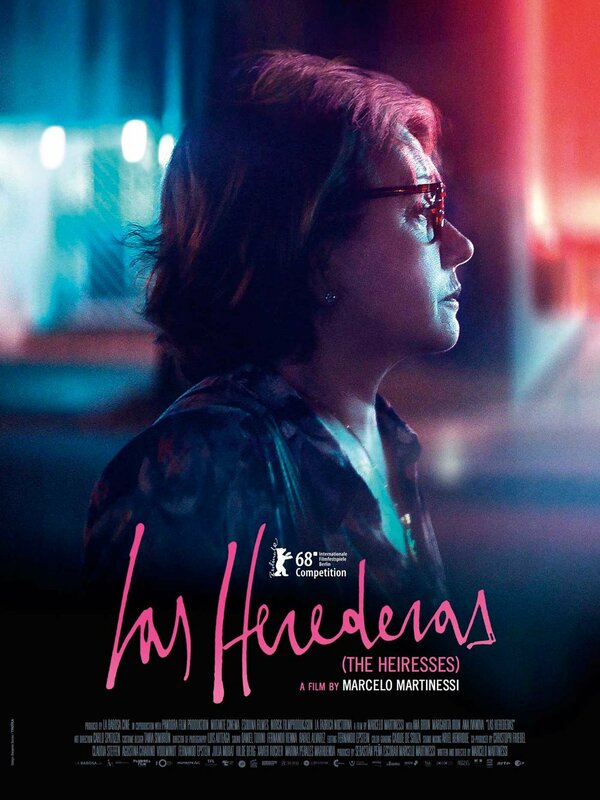 Paraguay has announced today the selection of Marcelo Martinessi's acclaimed debut feature The Heiresses / Las herederas as its Oscar contender. The film, which will also represent the South American nation at Mexico's Ariel Awards and Spain's Goya Awards, becomes the third Paraguayan Academy entry after Cloudy Times in 2015 and last year's The Gold Seekers. TheHeiresses had its world premiere at the last edition of the Berlin Film Festival where it won two Silver Bear awards, the Alfred Bauer Prize and for Best Actress. The film, opening on January 16 at Film Forum in New York City followed by other U.S. cities, tells the story of Chela and Chiquita, both of whom descended from wealthy families in Asunción, Paraguay and have been together for over 30 years. But recently their financial situation has worsened and they begin selling off their inherited possessions. But when their debts lead to Chiquita being imprisoned on fraud charges, Chela is forced to face a new reality. Uruguay has selected Álvaro Brechner’s historic thriller A Twelve-Year Night / La noche de 12 años as the South American country’s candidate to the 91st edition of the Academy Awards in the foreign-language film category. Starring Antonio de la Torre, Chino Darín, Alfonso Tort and César Troncoso, the film recently had its world premiere in the Orizzonti section at the Venice Film Festival. Set during one autumn night in 1973 when Uruguay was ruled by a military dictatorship, A Twelve-Year Night follows a group of Tupamaro prisoners that are taken from their prison cells in a secret military operation. The order is precise: “As we can’t kill them, let’s drive them mad”. The three men will remain in solitary confinement for twelve years. Among them is Pepe Mújica—later to become president of Uruguay. This marks the third time that Uruguay sends a film by Álvaro Brechner to the Oscars after Bad Day to Go Fishing in 2009, and Mr. Kaplan in 2014. The country has not earned an Oscar nomination. Venezuela, which was this year’s first Latin American country to announce its candidate in the foreign-language film competition, selected La Familia, the debut feature by Guillermo Rondón Córdova, as its Oscar contender.